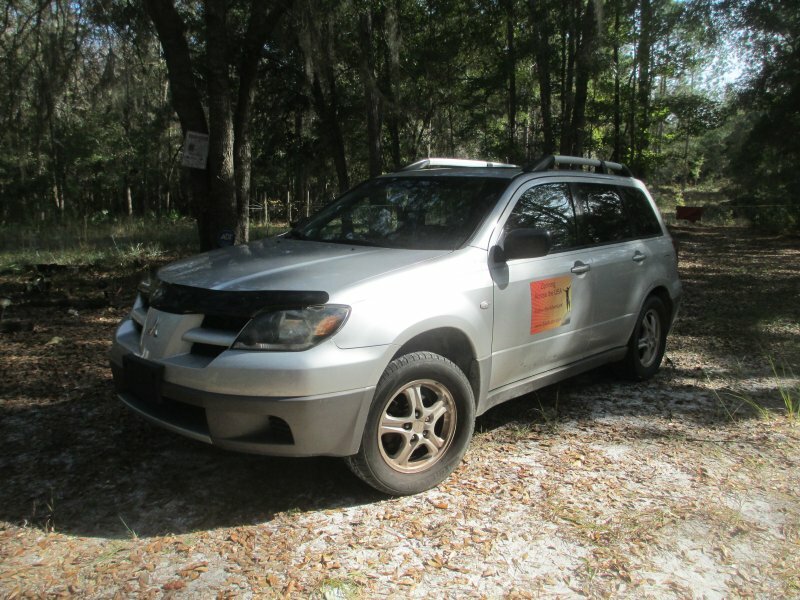 My Mighty Mitsubishi Outlander accompanied me on both of my trips! 2012 driving to 48 states, 14,284 miles. 2013 driving to 27 states, 20,194.7 miles. 109 ziplines! Only stopped for gas and oil changes! 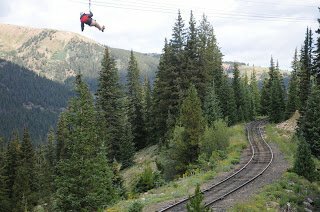 I began my new journey, with 5 ziplines planned, and then decided a great new adventure would be Ziplining Across the USA. How cool is that? I had already zipped in 7 states, at ten different places, and had about 50 zips under my belt. I then determined this would make a great book: 60 year old lady zips across the US! As I go, I am compiling as much info as possible on every zipline I zip! I could use some help here! 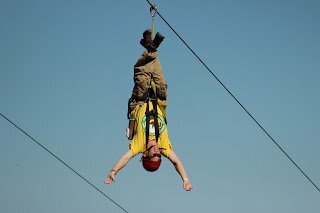 I will set up a clickable icon on the ziplining page so anyone can let me know about a zip. Until then, email me at SuenFL@aol.com and put zipline in the subject line. I will also keep a Ziplist of the ziplines with links to their websites, their part of the blog and a Facebook link. 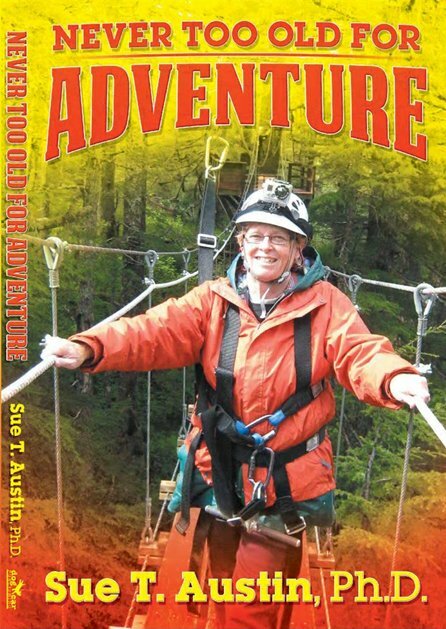 Never Too Old For Adventure, is the exciting and inspirational journal of Sue Austin�s visit to all 50 U.S. states, completed in 115 days. Traveling alone for most of her journey, Sue experienced many adventures, including hiking, kayaking, surfing, parasailing, snorkeling and ziplining. Her goal: to visit with old friends, meet new friends and have the adventure of a lifetime! What adventures await a woman turning 60 years young? Join her, as she traverses the North American continent. Watch and learn as she scouts out amazingly fabulous deals using vouchers from Groupon and Living Social to save money on her many activities. This is not a five star hotel journey, but one of being flexible and open to following the heart. Filled with many photos of this beautiful country, see and read about Mendenhall Glacier, Waikiki Beach, Diamond Head Crater, Yellowstone, Grand Canyon, Devils Tower and more. Join her for an exciting tour of the United States of America! Sign up today to receive special emails!